Traveling along Interstate 12 in Louisiana is known to be a favorite route for people involved in “pharmaceutical sales”. It’s not unusual to see police with vehicles pulled over and several officers conducting searches. Colombian, Mexican and Caribbean traffickers traveling to and from Miami, Houston, or the southwest border use the I -12 as their “Highway To Hell”. Recently, a man speeding down the stretch of I-12 near Covington, Louisiana found himself with a lot of explaining to do. Deputies spotted 23 year-old Donald Roots-Scott Jr. of Sacramento, California, as he cruised along at 90mph.When they pulled him over, he told officers that he had an expired driver’s license and some marijuana. During the search, the deputies found 2 pounds of high grade marijuana. 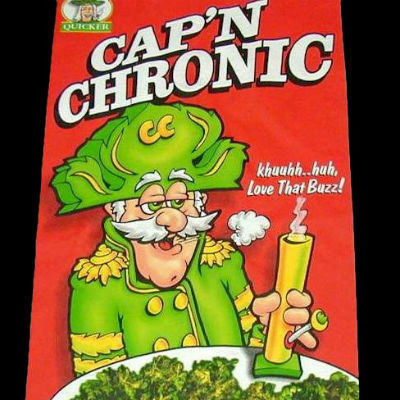 It had been hidden inside Honey Nut Cheerios and Cap'n Crunch's Crunch Berries cereal boxes. He told them he was taking the drugs to Mississippi for distribution. He has been charged with possession with intent to distribute marijuana, an expired driver's license and speeding. In the future, he might want to try Lucky Charms as his cereal of choice.